Just like the rest of your body, your eyes undergo changes as you age. Some of these changes have little effect, if any, on your vision, and are a normal part of aging. Other changes indicate something more serious is occurring and warrant the attention of an eye doctor. In either case, it’s important to understand what vision changes are and aren’t normal, so you can take the appropriate steps to keep your eyes healthy. 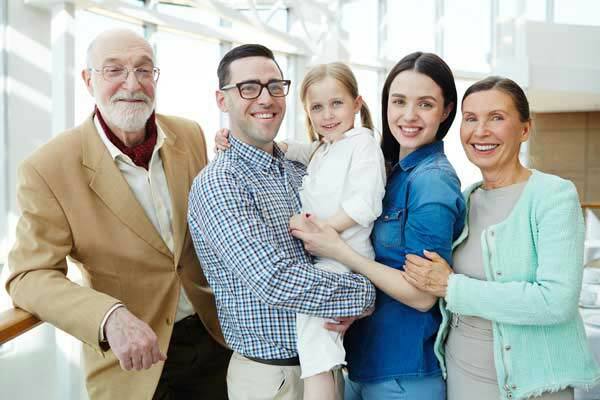 To help you with this, the Atlanta Vision Institute has outlined a brief guide, which follows below, so you can know what to expect of your eyes at every stage of life, learn proactive measures you can take to protect your eyes and your vision, and see clearly no matter how old or how young you may be. Babies learn to use their eyes over time, just as they learn how to walk and talk. This includes how to move their eyes, focus their vision, coordinate eye movement, and use both eyes as a team. As an infant grows, the brain is also learning how to use visual information sent from the eyes. If there are any undiagnosed vision conditions or impairments, this can affect how the brain uses the eyes to see. The longer the problem goes on, the more a child’s brain learns to accommodate the problem. Uncorrected vision can create social, academic and even athletic barriers throughout a child’s life. To help a child fully develop and interact with his or her surrounding world, it is critical that any potential visual problems are identified as early as possible so the child can receive appropriate treatment. During infancy, signs of possible eye or vision problems include eyes that appear to constantly turn in or out, excessive tearing, red or encrusted eyelids, extreme sensitivity to light, and the appearance of a white pupil — especially in flash photography where an eye would normally appear red. If you notice any of these signs, arrange for an examination with your ophthalmologist. Vision changes can occur frequently during a child’s school years (ages 5 to 18). Any problems with a child’s eyesight can affect his or her performance and enjoyment at school. A child does as much as 80 percent of his or her learning through the eyes. If the eyes aren’t functioning normally, that can make learning very difficult. Children who suffer from eye problems may avoid reading or doing other visual work, strain or squint to see the chalkboard or complete work with a lower level of comprehension. Straining and squinting can cause fatigue and headaches and discomfort, which makes it even harder for the child to concentrate on schoolwork. Undetected vision problems have similar behaviors and symptoms normally associated with learning disabilities like ADD or ADHD. Holding materials close to the face in order to read. One eye turning in or out. No interest in detailed activities such as playing with puzzles or coloring books. Difficulty with eye-hand and eye-body coordination when playing sports. It is important for parents to be observant and to recognize the above signs in their kids, as kids may be unwilling to tell their parents they’re having troubles with their sight. Children might think that how they see the world is how everyone else sees. Or, they may not want to have to go to the eye doctor and risk being told they might have to wear eyeglasses. Understand, too, that the school years is the stage of life when vision problems such as myopia (nearsightedness), hyperopia (farsightedness) and astigmatism (an imperfection in the curvature of the cornea) often develop. Fortunately, these are all conditions that can be corrected with a visit to the eye doctor. But obviously, these problems won’t be addressed if the child doesn’t receive appropriate medical care. A comprehensive, dilated eye examination will be necessary to diagnose the problem—even if the child just saw the eye doctor a year or two earlier. This is especially true if you have a teenager, as adolescence is typically the most rapid stage of eye change and vision complications can be sudden. For most people, their eyes are usually fully-developed by the time they enter their young adult years (ages 20 to 39). The majority of people in this age group enjoy healthy eyes and few vision problems. One of the biggest challenges for young adults is eye strain from being at the computer for many hours during the day, either for school or work. This is the time to develop good preventive habits, like taking regular “eye breaks” when at the computer, wearing sunglasses to protect your eyes from dangerous UV rays, using protective eyewear during sports or when working with power tools, eating foods rich in antioxidants, and exercising regularly to ensure your eyes and body stay healthy. If you were diagnosed with a vision problem such as nearsightedness, farsightedness and/or astigmatism when you were younger, young adulthood is an ideal time to talk to your ophthalmologist about LASIK surgery to correct your vision. Most young adults enjoy very active lifestyles, and being free of glasses or contacts can make it much easier to take part in sports and other recreational activities. Your middle-aged years—roughly your 40s, 50s and early 60s—are when many eye conditions and diseases begin to develop. The biggest change you may experience starting around age 40 is probablypresbyopia. This is a common condition where the eyes lose the ability to see up close and therefore objects have to be seen and/or read from afar so that the lens can adjust itself appropriately. With age, presbyopia worsens, making it more and more difficult to read or focus on close-up objects. Traditionally, presbyopia has been treated with reading glasses or bifocals. Laser surgery may also be considered. Floaters may also start appearing in the eyes in the early middle-aged years. These are spots or cobweb-like strands that typically appear when in bright light or looking at something that is white. The floaters are actually shadowy images of particles that float around in your field of vision, and are usually harmless. However, if the floaters are accompanied by flashes or light or loss of peripheral vision, or if there is a large new onset of floaters, that could signal retinal detachment and warrant immediate medical attention. During later middle-age, two conditions that are often seen are cataracts (a clouding of the eye’s lens), and dry eye syndrome (when eyes do not produce enough tears). Cataracts can usually be removed during a simple, safe outpatient procedure, and dry eyes are most often treated with artificial tear drops. Later middle-age is also the time of life when serious conditions such as type 2 diabetes and hypertension are more likely to develop. Not only is it important to be aware of and monitor these conditions to protect your overall health, it’s important to realize they can also lead to vision loss, if left untreated. During the senior years, dry eye syndrome and cataracts continue to common, along with glaucoma (increased blood pressure in the eye, causing vision loss) and macular degeneration (deterioration of the retina, which diminishes eyesight). Additionally, senior citizens often have more trouble seeing at night or in low light, judging distances or the speed of other cars when driving, distinguishing between similar colors, or adapting to headlight glare or bright sunlight. Of course, the aging process does not have to cause vision loss. The most important preventative steps you can follow are to get an annual eye examination and take good care of your overall health, which impacts your eye health. This includes eating a well-balanced diet, taking your medications as directed by your doctor, maintaining a healthy body weight, and being involved in an exercise regimen. It goes without saying that if you notice any sudden changes in your eyes or eyesight, you should contact your eye doctor to schedule an examination. It’s always wise to consult with an eye care professional, rather than just brush off vision changes as part of “getting older.” When it comes to your eyes, it’s never a good idea to just assume you’re experiencing a “normal” change in vision. If you are in the Atlanta area, we would be happy to schedule an examination for you with Dr. Farooq Ashraf. To book your appointment, please call the Atlanta Vision Institute at (770) 622-2488 or fill out the contact form on our website and someone will get in touch with you shortly. Remember: Preventative eye care is always your best bet!